There are of course reused former chapels all over the city. Perhaps the most striking reuse is this one. 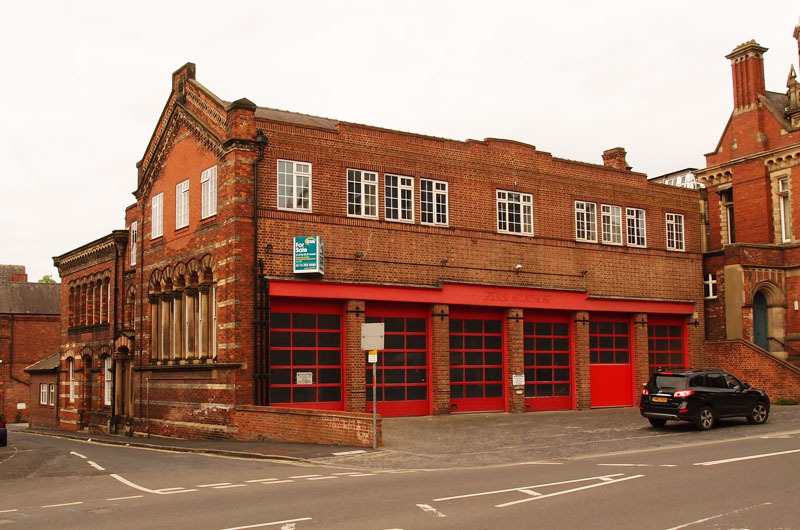 Whereas now many residents object to the idea of the ground floor of the former Groves Chapel being occupied by a Sainsbury’s store, the previous century saw a fire station being driven through the former Trinity Chapel on the corner of Peckitt Street and Clifford Street. It opened in the 1930s and was in use until a few years ago. I took the photo above in May this year when, as can be seen from the sign, the building was for sale after the fire station moved elsewhere. It’s currently under offer. It’s not a listed building, and presumably after decades of use as a fire station there’s not much ‘chapel’ left in there. It could be demolished entirely I guess. 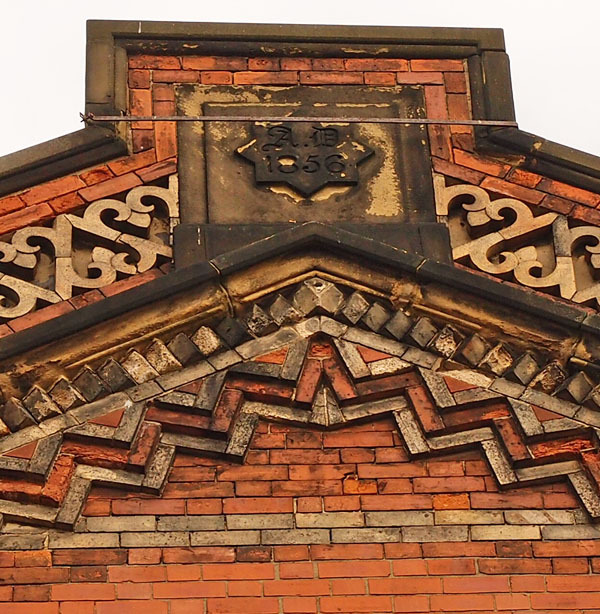 Though they might keep the frontage on Peckitt Street. 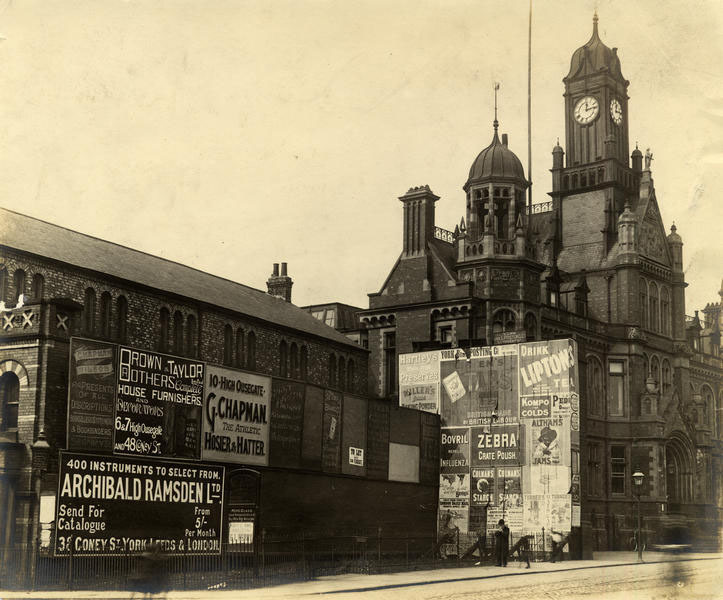 A photo from the city archives shows the side of the building in the early years of the 20th century, when it was clearly serving as a support for advertising hoardings. It will be interesting to see what replaces the former Trinity Chapel/fire station, on this prime city centre site. 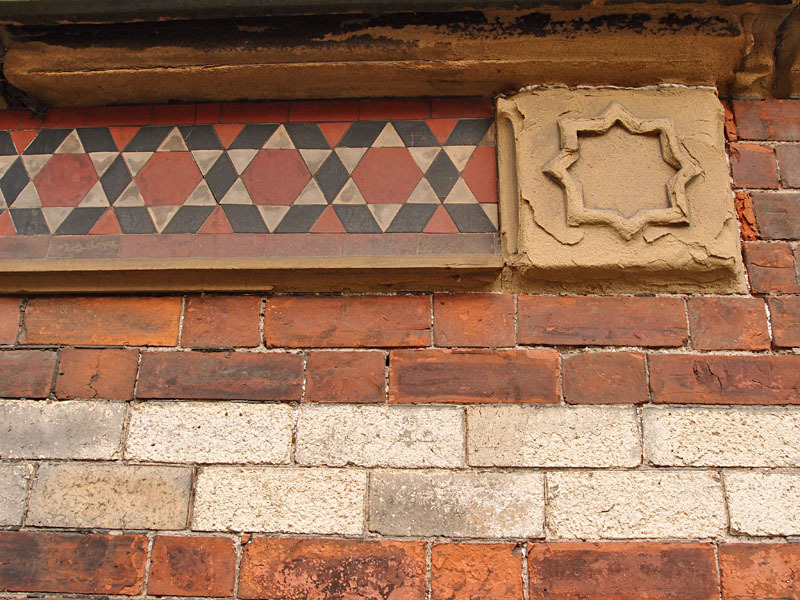 While we’re waiting to find out, let’s wander past a couple more old chapels and see how they’re faring. The chapel was reopened as the fire station on the 27th April 1938. The reason I know this is because I’m currently reading it from an inscription upon an authentic fire bell that was presented to the Lord Mayor who performed the ceremony – who was also my great granddad. The bell, which sits in a cupboard gathering dust, was originally attached to a York fire engine but I’m unsure if the vehicle would have been motorised or horse-drawn. It’s possible it saw service on both types. All I know is that, as a toddler, I drove my parents bonkers by constantly ringing it (it is, unsurprisingly, astonishingly loud), and so it has become quite used to being hidden away. When the new fire station was being built, my dad and I considered donating it to the new base in case there was an interest in displaying it as an objet d’art. However, we concluded that, like with most dusty, old heirlooms, it would probably – and quite understandably – end up taking up space in a cupboard in Kent Street rather than my own. However, if a York firefighter is reading this and would like the bell free-of-charge for decorative purposes at Kent Street, they are welcome to contact me through my place of work (BBC Radio York). In a coincidental twist, it would be very easy for me to bring it over as I live in my great granddad’s house that he built in Fishergate, which is literally a thirty second walk to the new station. A final request if you do take it though: painful as it may be, you should indulge any visiting toddler’s wish to ring it, if only for a short time. Almost forty years on, I still remember what enormous fun it is! This is brilliant, thank you Nick. What a wonderful heirloom to have. Before the local firefighters claim it, I wonder if you’d share some photos (and perhaps even audio) with us … I’ve emailed you. Another interesting item rescued from one of York’s places of work is http://yorkstories.co.uk/glassworks-clock/. It’s good to know these things are kept even though we’ve in many cases lost the places of work where they were used. HI, I have just read your piece about the fire engine bell and find it very interesting. I’m a collector of fire service memorabelia ranging from buttons badges, helmets etc. to a 1900’s fire service hand cart, a large collection my wife and I have collected over the last 30 years.If you have no interest from York fire station could I be a bit forward and ask if you would consider selling it to me with me living in York and having quite a few links to the clifford street station it would make a great centrepiece for my collection. regards Steve Bainbridge.